Sale up to 25 % off	Shop Now! Shipping in May Only More Information! Click Here! Join us for our U-dig seedling sale July 20-21 and 26-28, 2019 from 9AM until 3PM. 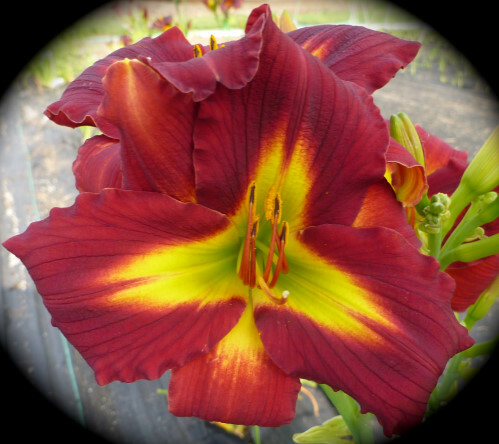 Northern Light Daylilies sells fancy daylilies on the internet. 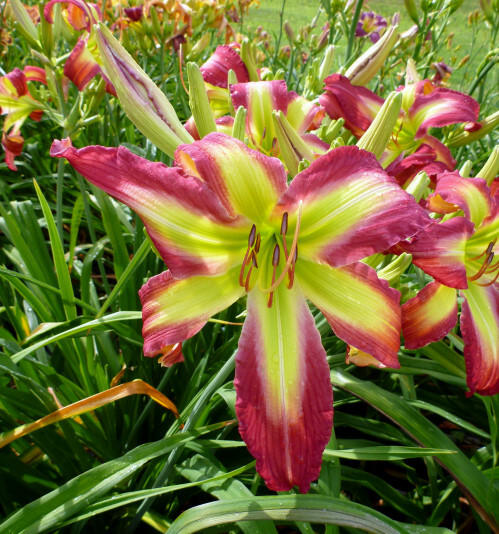 They sell on the website NorthernLightsDaylilies.com, November through April, and then ship throughout the United States in May. 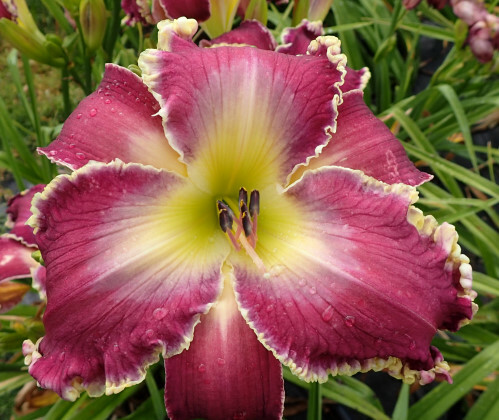 Northern Light Daylilies is open to the public in West Concord during the Survival Days weekend and the weekend before; July 20-21 and 26-28, 2019 from 9AM until 3PM. 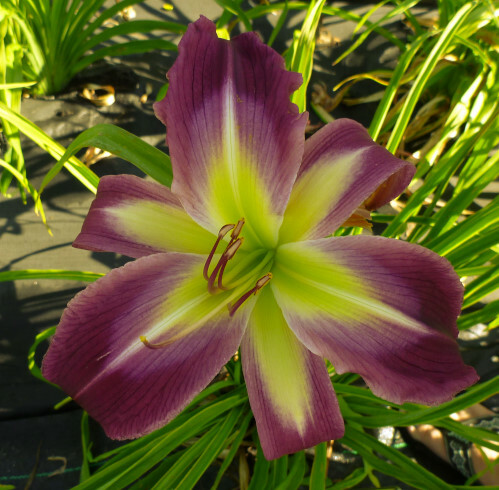 Mike and Kathleen spread pollen and hybridize their own daylilies. They cross pollinate in May, June, and July. They collect their seeds in September and October. They plant their seeds in the greenhouse during the winter, and transplant the seeds outside to the seedling fields in June and July. They plant 10,000 seedlings each year - 5000 of Mike’s seedings and 5000 of Kathleen’s seedlings. During the bloom season, they evaluate the flowers in the fields. They select about 100 to 120 of the 5000 each year. These are called Selected Seedlings and are moved to a special bed and evaluated for three to five years for quality of bloom, plant habit, vigor, and disease resistance. 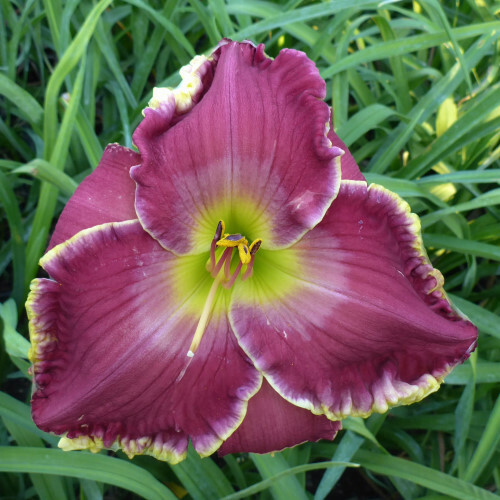 Of these 100, only about 10 are chosen to be named and registered with the American Daylily Society. They are then offered for sale on the website. 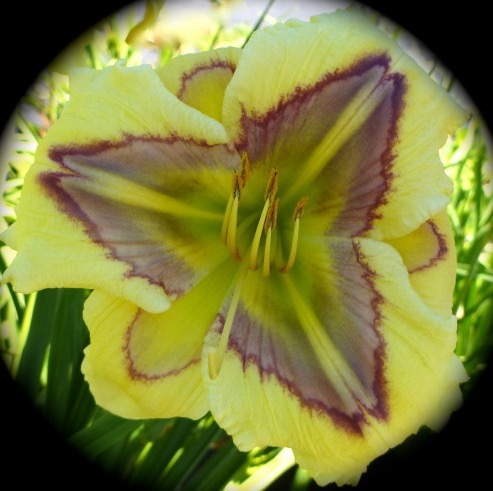 We are happy to come and speak at daylily or garden clubs! Just drop us an email at Mike144mann@msn.com and we will work out a date. If your club is interested in purchasing our introductions we offer a buy one get one free program.